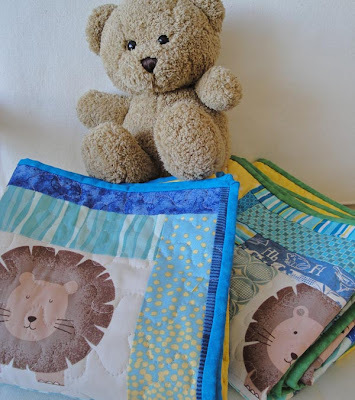 For a friend's upcoming baby shower, I made two baby quilts. The nursery's colors are blue, green, and yellow with some animals, she said. Hooray that I had some fun lion fabric from last year's excessive shopping trip at Momen+. Once I figured out that I could cut out nine lions from the fat quarter, the rest of the quilt designs fell into place. Improvisionally piece log cabin style around the lion shapes, then trim to 12.5" square. 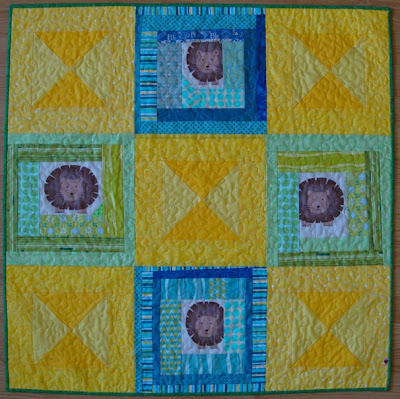 To offset the irregularity of the lion squares, piece formal hourglass blocks in yellow. Then alternate in a tic-tac-toe pattern. One to add some greens. Can't have them be exact. Then how would the poor boys know which was whose? The backs are also different. 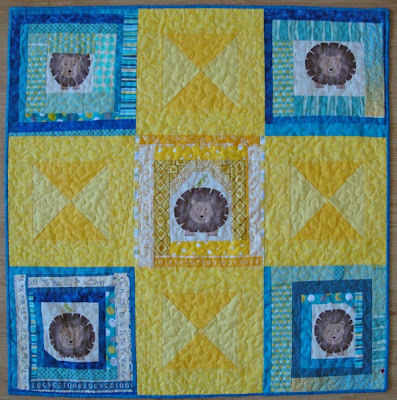 The blue quilt has the yellow and blue striped fabric, as seen in many of the blocks, as the backing. 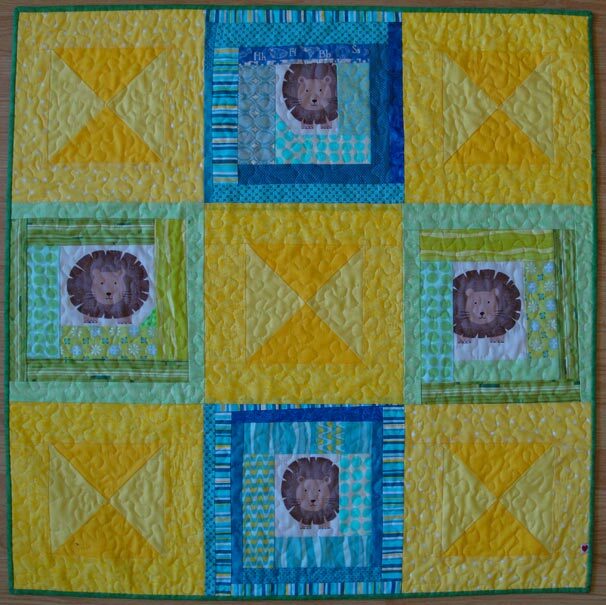 The green quilt has a flannel animal print backing. 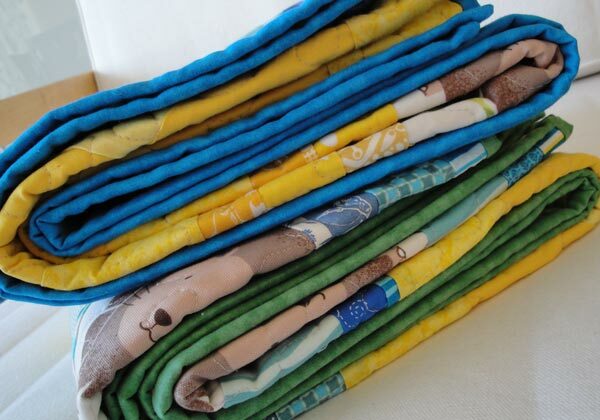 The finished quilts are each roughly 36" square and quilted in a meandering squiggle. The binding is handsewn.